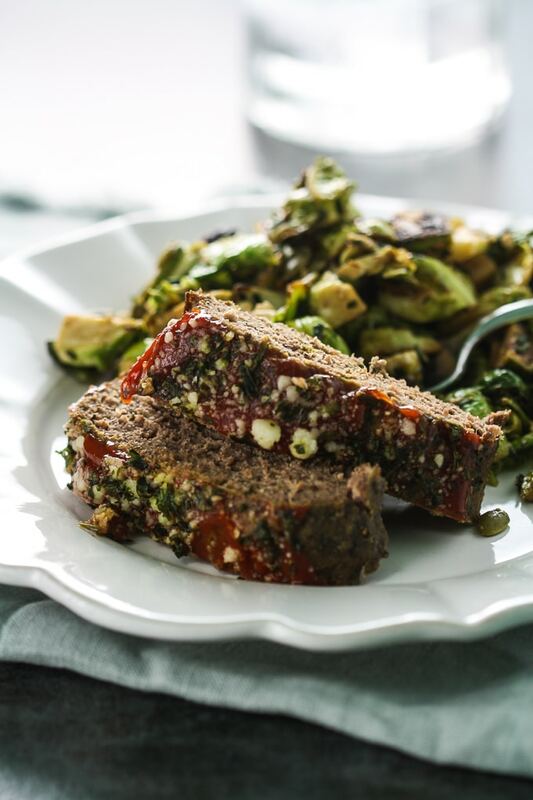 Dinner’s never been easier than with this Slow Cooker Meatloaf recipe. It tastes great, holds together and slices perfectly. So obviously I know that meatloaf can be made without the help of a slow cooker. But I do love being able to prep dinner as far in advance as possible. Right now, my go-to method is freezer meals, thanks to The Freezer Meals Episode I shared a few weeks ago. I learned so much from taping that show, I even developed my own freezer meals and batch cooking strategy. You can read more about that on my friend Sally’s blog. 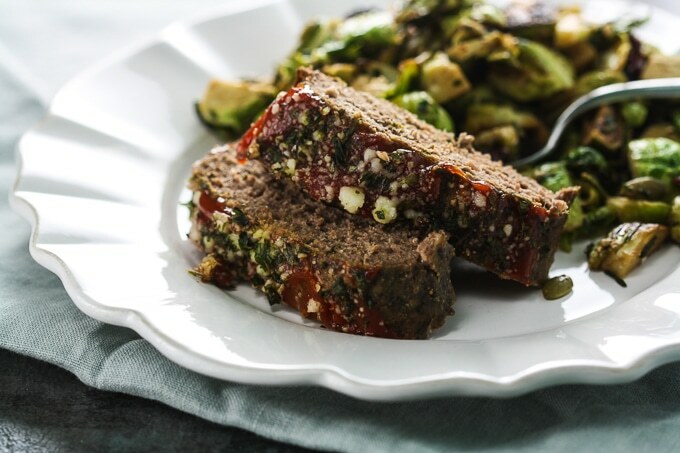 What Makes This Slow Cooker Meatloaf Different? Besides the fact that it’s crockpot cooked versus oven, it’s bound together by ground chia seeds (you could also use ground flax seeds)… definitely not your typical bread or cracker or oatmeal concoction. I stumbled onto how great ground chia seeds work in this dish when I was looking for a gluten free substitution for my husband. One of the main problems with “bad” meatloaf is that it’s too crumbly and falls apart when slicing. The ground chia seeds hold it together perfectly. The other “bad” meatloaf trait that this recipe overcomes is greasiness… and here’s the trick: stale bread. I learned this from my mom a few years back. You line the bottom of the dish with stale bread, which soaks up the grease (and discard the bread, obviously). It also makes for a nice slow cooker clean up (bonus!) since you simply lift out the bread and toss it in the trash. The last time we had this meatloaf my oldest son asked for seconds, then dessert and then some more meatloaf. So overall, I’d say it was a hit. Combine ground beef and next 5 ingredients (through salt) in a large bowl mixing well. Coat bottom of slow cooker with cooking spray. Place bread slices side by side down length of slow cooker (I used an oval shaped slow cooker for this meatloaf. If using a round cooker you may have to trim bread to fit). Shape meat mixture over bread slices into a loaf. Cover and cook on HIGH 3 to 4 hours or until meat loaf registers at no less than 160 degrees F with an instant read thermometer. Top with ketchup and garnishes. Let cook an additional 15 to 30 minutes or until cheese is melted and ketchup is hot. 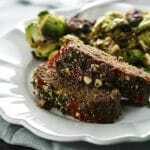 To serve, slice meatloaf and leave bread on bottom of slow cooker. Discard bread. There are affiliate links in this ingredient list, meaning, if you click through and make a purchase, I may receive a commission (at no extra cost to you).